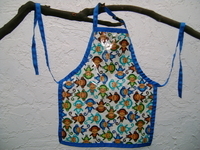 Rain Baby Gear offers the best aprons for children. 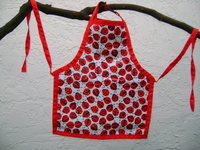 Toss out the cotton apron and finally get a children's apron that sponge wipes clean. How simple! 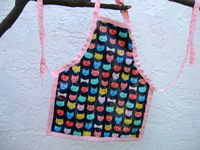 From helping mom and dad in the kitchen to many other messy craft projects, Rain Baby Gear kid aprons make for easy clean-up. 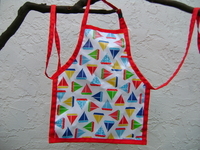 Our aprons are also machine washable. They come with adjustable neck straps and also extra long waist ties so they can tie in the front or back. 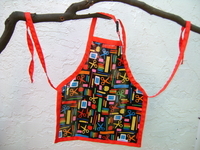 Fabrics are BPA-free, lead-free, and phthalate-free. 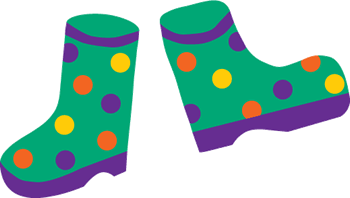 They meet CPSIA standards and are safe for use for children under 12.